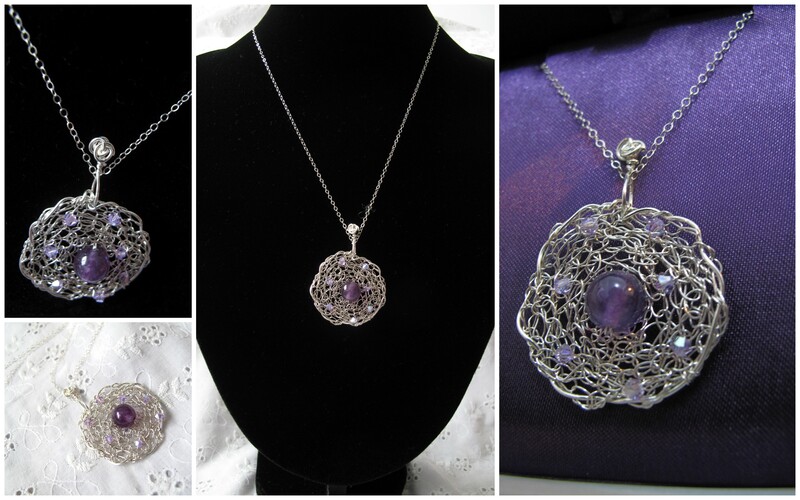 The request: an amethyst bead in the middle of my signature design crocheted disc. The dilemma: use sterling silver. I have to admit. I shy away from using sterling silver with my designs because cleaning sterling silver jewelry pieces need lots of attention. A simple brushing with mild soap will not make it shine and sparkle like those in the store. You need a sterling silver cleaning solution for this and the process of cleaning, I find really tedious. When I make jewelry, I take into consideration the aspects of cleaning. I want my pieces to be easy maintenance. I want them easy to clean and store. Most of my customers are professionals who value their time so I want to make things easy for them. With gold, all you need is a soft bristle brush, some mild soap and water. For brass, a lemon rinse and soft bristle brush as well. With sterling silver, you need more than just a brush. But anyway, I will put aside all my apprehensions when a customer wants a sterling silver piece. This request was full sterling silver: chain and the main focal point which was the detachable pendant. I had to incorporate the customer’s birthstone, which is amethyst. Initially, when the piece was finished, I was not satisfied. If you have been reading this blog since it started, you will now know that I do not sketch when I make a piece. I will let my imagination flow and my hands do the work. 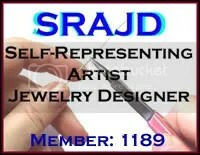 For customized pieces I will listen to what the customer wants and work from there. So here I am with the piece and decided to add more to the original design. I added a border made of thicker sterling silver wire. Slowly, the disc started to transform into a rose! The amethyst bead in the middle seemed lonely so I dispersed a couple of Alexandrite Swarovksi faceted bicone crystals around it.